The stamp I used is actually a cluster of two or three flowers, so I alternated taking a stamp of the entire design and taking a stamp with just one flower at a time to get the coverage I wanted. I love using the actual Konad polish to stamp because it's got great opacity. 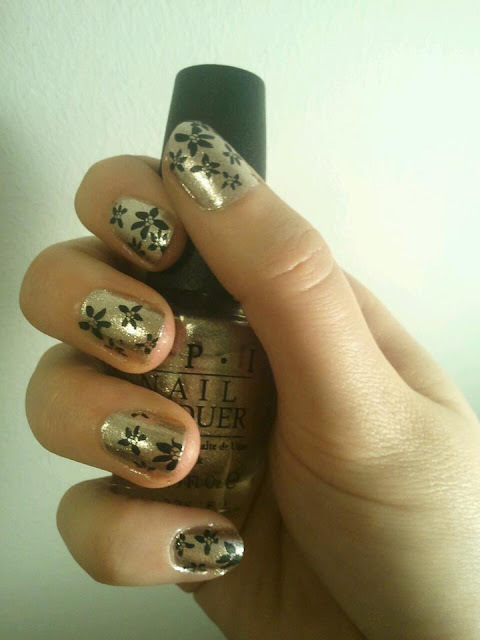 This picture was also taken before I used a topcoat, so the flowers have a nice matte look to them.